Students are discouraged from bringing vehicles to the Foggy Bottom and Mount Vernon Campuses and Freshmen and Sophomores are prohibited from doing so, other than in exceptional circumstances. Additionally, students are encouraged to park in the university parking facilities located throughout the Foggy Bottom campus. Students who are eligible to park at GW will only be assigned parking privileges on the campus where they reside or take the majority of their credit hours. Please note when a customer applies for parking online their vehicle is automatically registered. Apply for a parking permit. Permits must be correctly displayed on the vehicle. If your parking decal becomes lost you will be required to pay $10 as a replacement fee. Parking overnight is not permitted unless you have an Overnight Parking Permit. 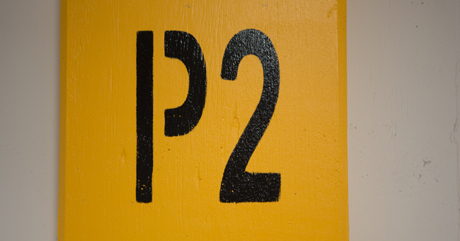 Only third- and fourth-year students who reside on campus are eligible for Overnight Parking Permits. Students requesting a decal to park on the Mount Vernon Campus must reside in a Mount Vernon residence hall or must have the majority of their classes scheduled on the Mount Vernon Campus. The semester is defined as from the start of each semester when the residence halls are officially opened for move-in, to the end of the semester when the residence halls close.